You may have seen our sneak preview this past Sunday, and its finally relaced and ready to go. 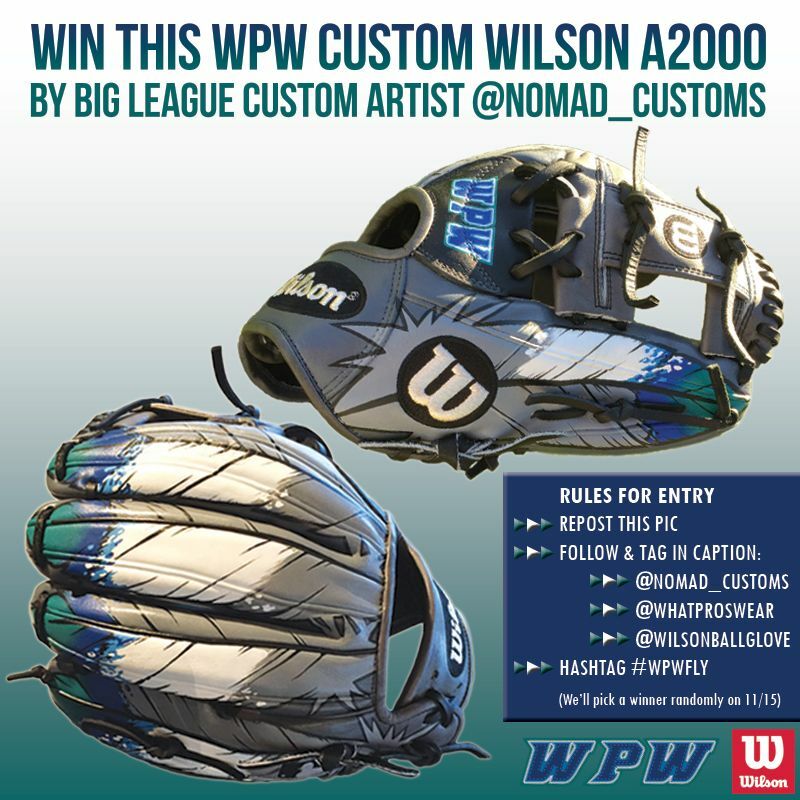 We’re giving away this Wilson A2000 1787, custom painted by Nomad Customs, who has done custom cleats for Eric Hosmer, Manny Machado, Jose Fernandez, Roberto Osuna, and Shane Victorino to name a few. 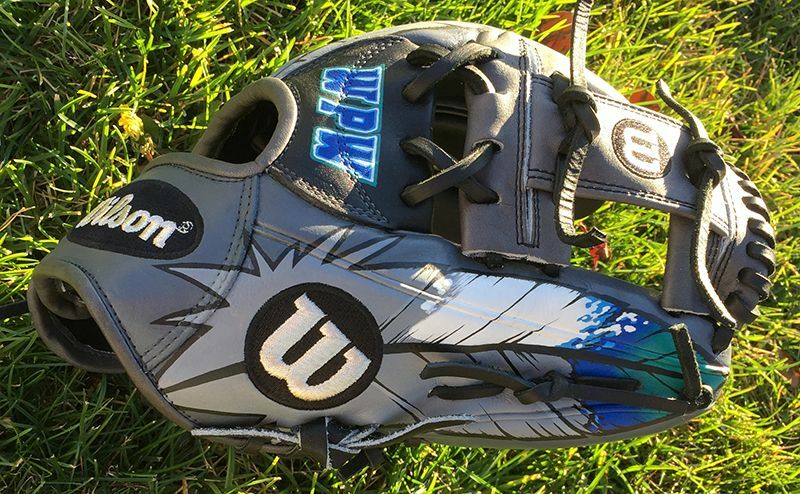 This is my dream glove, and I have no idea why I’ve agreed to give this work of art away. 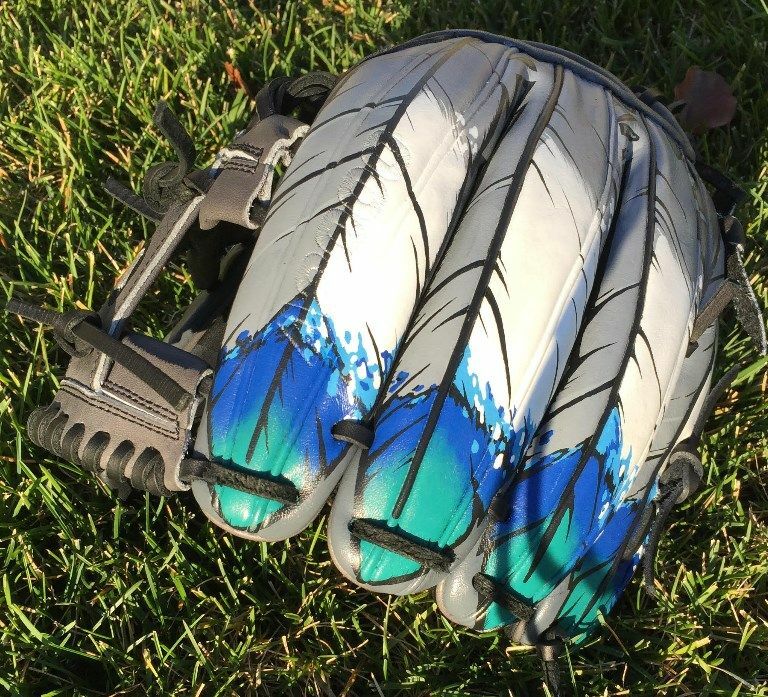 I came to Roly from Nomad with an idea that I’ve been dreaming about for a long time—a bird-inspired custom glove. 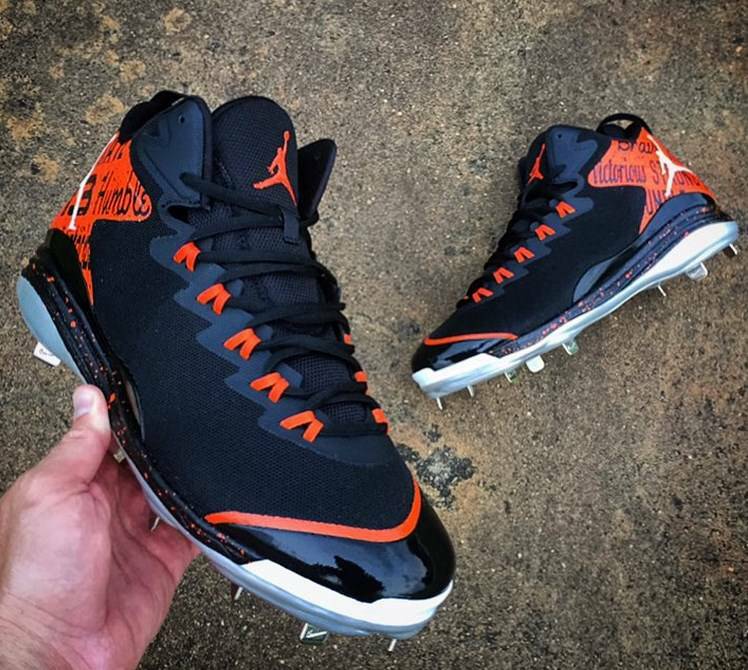 I’ve always been more into my glove than my cleats, so if I was going to customize anything, it’d be the glove first. 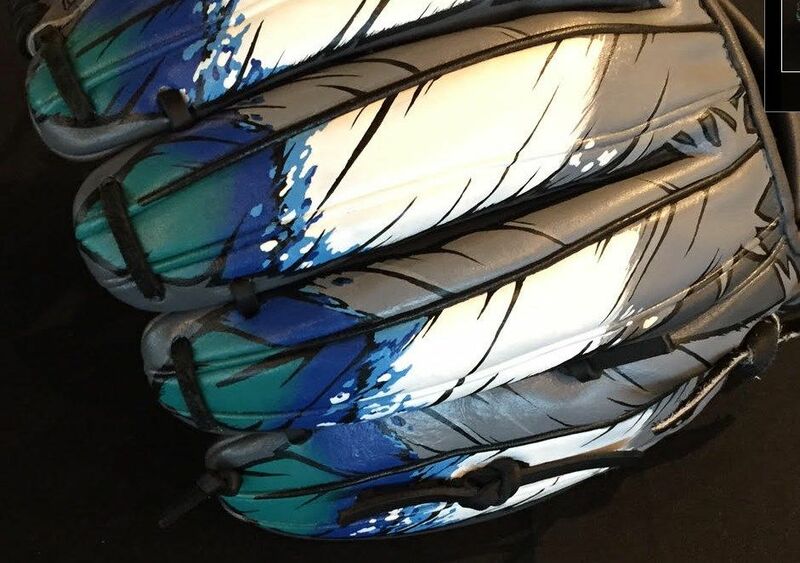 Mimicking the feathers of a bird, Roly from Nomad made this glove into an artwork, a one-of-a-kind piece of leather that is almost too pretty to use. 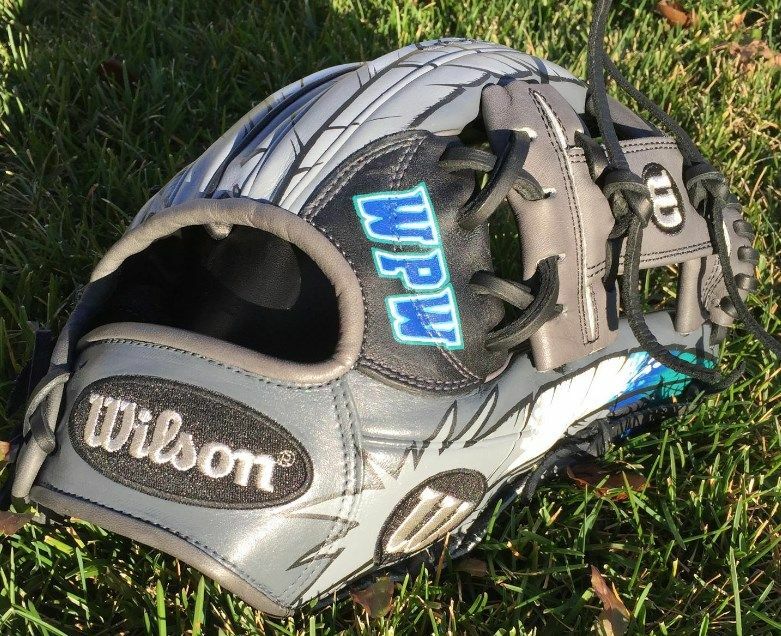 The thumb feather is my favorite part, with that bold Wilson patch and the WPW-colored feather. To enter, go find us on Instagram (@whatproswear) and follow the directions. 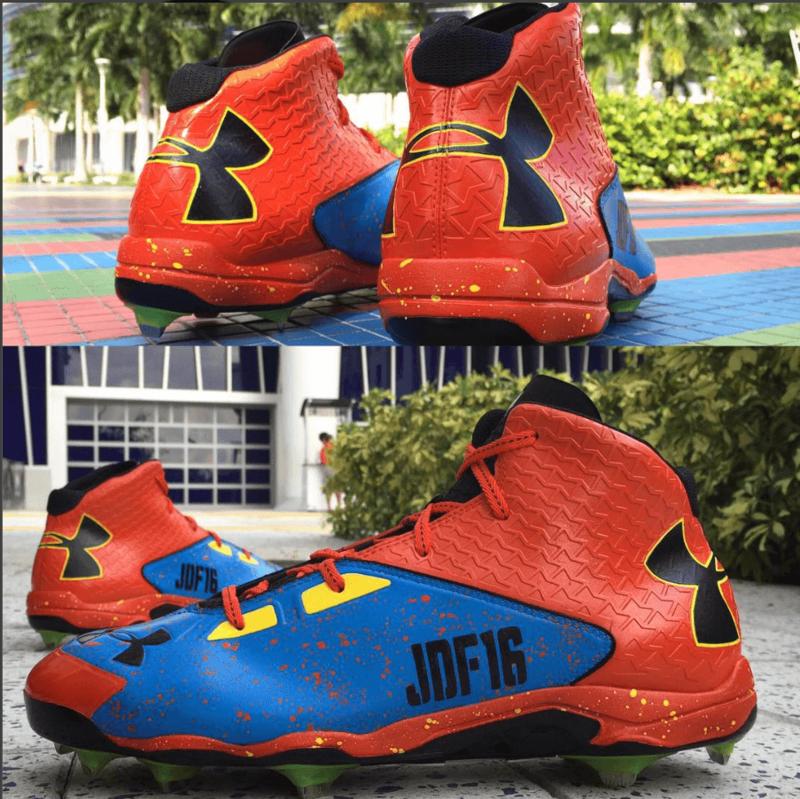 Thanks to Wilson and Nomad Customs for putting this together. We’ll randomly select the winner on Sunday, November 15. 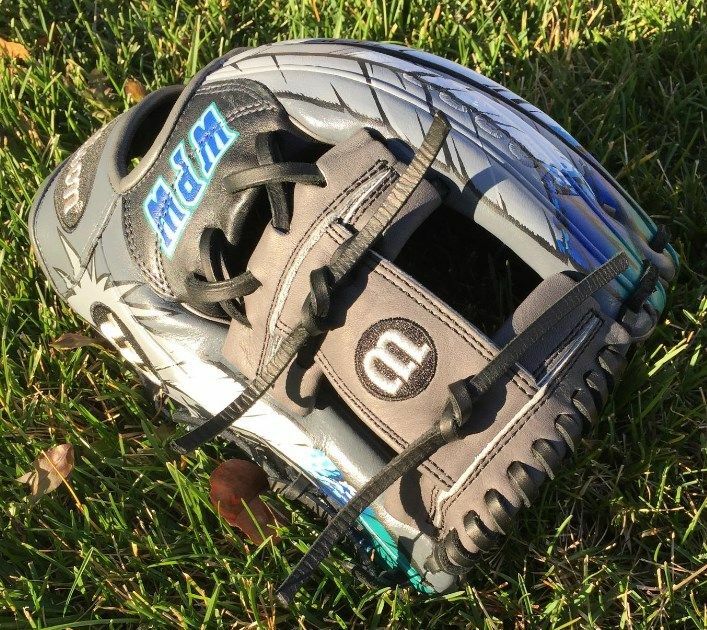 Do you guys like the glove?